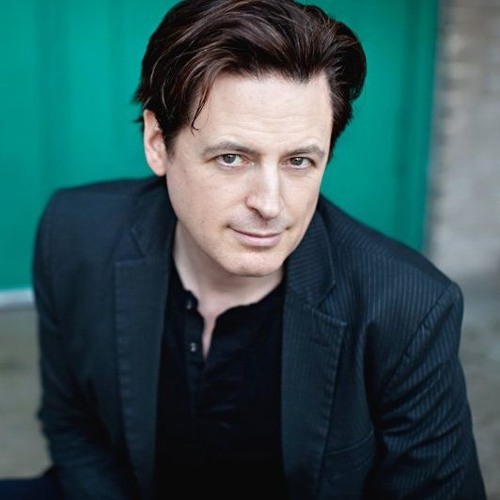 Here's 'Tell Me Everything' host John Fugelsang's phone call with a Christian woman who supports Donald Trump. OMG this is so sad. Stupid is, stupid says. America, you're being skull-fucked by a narcissistic idiot. My father always warned me against "arguing with crazy people." This woman is a typical Trump Supporter. Uneducated, simple minded, and refusing to acknowledge the facts. The Christian cult thinks 'worshiping' Mary/Christ gets them to heaven, instead of following him. To 'follow him' simply means to be a good person as he was. "No man cometh to the father but by me" - means to be a good person as he was. To accept/recieve christ means you agree with him. He said, "God is a spirit" - the spirit of goodness in all of its expressions, whether you're encouraging your kid or disciplining them, helping the old lady with her groceries, putting out the house fire, inventing things that lift humanity i.e. air conditioning, refrigeration, medicine, etc. and exposing darkness/evil. Its what it means to be 'a vessel of god', to be a part of 'the spirit of god' etc. There will be good people in heaven who are 'atheist'! The creator could care less about your religion, ethnicity, country, etc. just that you are a good person is all that matters! @user-377943283: Jesus Christ, all the disciples and prophets we're killed by these men, depraved preacher and demonically greedy politician alike, for exposing them and breaking their "laws". It's Christianity 101 and the "Church" doesn't have a clue. NONE! They're complicit in supporting them! They're busy savagely feeding on fear and hate, driven by heresy, propaganda and rhetoric ...just as the bible says they would be. They are about as "spirit-led" as a hammer. @user-377943283: Psa 5:9 They flatter with their tongue. There is no faithfulness in their mouth; their inward part is truly wicked; their throat is an open tomb. Psa 12:2 They speak vanity every one with his neighbor: with flattering lips and with a double heart do they speak. 2 Peter2:19 They speak great swelling words of pride, they manipulate using the desires of the people, through much wantonness... While they promise them liberty, they themselves are the servants of corruption... 1Tim 6:5 Perverse men of corrupt minds, destitute of the Truth, supposing that gain is godliness... 2 Tim 3:7 Ever learning, and never able to come to the knowledge of the Truth. Rom 1:22 Professing themselves to be wise, they became fools. .
Isaiah 1:23 Your leaders are rebellious, and companions of thieves: they all loves gifts, and follow after rewards: they deny justice to the fatherless, neither does the plight of the widow come to them. Prov 22:16 They oppress the people to increase their riches, and they give to the rich... Isa 56:11 ...they all look to their own way, every one for his gain, from his quarter (district). Rom 16:18 ...they serve their own belly; and by GOOD words and FAIR speeches deceive the minds of the simple. Psa 26:10 In whose hands is mischief, and their right hand (priority) is full of bribes. Amos 5:7 They turn justice to bitterness, and neglect whats right... 5:12 they afflict the just, they take a bribe, and they turn aside the people from whats right. Ezekiel 33:31 They come to you as the people come ...they hear your words, but they will not do them: for with their mouth they show much love, but their heart goes after their greed. That was a well managed interview, John. You gave the caller every opportunity to justify her claim that Trump is a Christian. I was raised in the church as a Baptist and sang in the primary and jr. choirs. Attended Sunday school and church services. I played on the church basketball team. I was baptised at 13 and left the church at 14. I have known I wasn't a believer since childhood. Still, I respect people who want to live by the teachings of the bible. I never learned anything bad in church. If Donald Trump is a Christian then I'm the Pope. Holy hell, a rightwinger said "you're right"
Amazing to hear this just being said out loud: "I'm a Christian. Why should I care about people?" Thank you, so much for your responses. I am so devastated that fellow Christians, as this young woman has fallen deaf to the truth of the word of God. The Bible said it would happen but I am still in disbelief. Jesus gave us a clear picture of how we would know His followers and the 45th President is not a follower of Christ. Great interview Mr. Fogelsang! Dealing with the victims of Trumps "Bait & Switch" execution is always a challenge, I was so impressed with your ability to keep this supporter engaged and on topic with specifics as she attempted to side-step, compare and rationalize the multitude of implicit assumptions and fallicies that her acceptance and beliefs rest upon. How many dialogs along this theme go as long and this well for you?? @brian-victor-ciupka: Brian we are on the right side, there are more of us, even though it doesnt seem like it. We can get this all back. We all mobilize our base to show up. It is totally doable. SHe was a typical cult member. You cant reach them. You can only defeat that attitude. You cant change it....Be well! and you wonder why I'm suicidal ?